As we all know (or should know), 2015 is an election year. Expect the usual speeches and glad-handing to come from politicians all across the UK and the microscope being place over Cameron, Clegg and Miliband more than ever before in the hopes of catching a memorable sound-bite, gaffe or even a piece of body language that can be spun out and turned into news by the ever hungry media. Some people who read that above paragraph may have noticed the lack of a certain figure that has boomed in politics over the last couple of years. The everyman, the outsider who’s here to shake up the traditional British politics paradigm. The man who exhibits charisma everywhere he goes. Mr Nigel Farage. Or as I like to think of him, “He who should not be named”. The media have latched on to Farage everywhere he goes.While they do cover his slip ups and gaffes (as well as those by his UKIP colleagues), the media seem to have a narrative set up for him as the rebel outsider from the right who has come in to provide a new alternative option for Britain’s vote. When he’s not on stage, he’s down the local pub sipping a pint or smoking a cigar. He’s just like you or I! The media seem to have romanticised the rise of UKIP over the last few years. You can’t turn a corner without bumping into a Nigel Farage related story slapping you in the face or an opinion piece either praising or criticising Farage or his party. 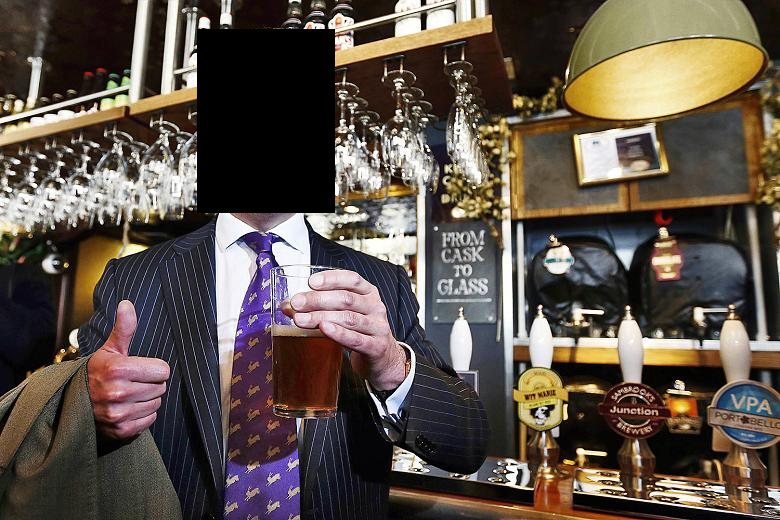 UKIP are getting more publicity than ever before. No matter whether that be a positive or negative stance on them, it all helps to bring awareness of their campaign to the British public. Add to all that, the sharing of these articles on Social Media and it’s making UKIP more prevalent in British society. Why do you think The Times recently made Nigel Farage their Briton of the year? Do you think it’s because they actually believe he has made the biggest contribution to the world this year? No. It’s because they knew choosing him would create debate across social media and other news networks. Nigel Farage is a hot topic and The Times hitched their wagon to him for promotion and to increase their relevance. The increased publicity of UKIP and Farage has legitimised the threat of UKIP in the election later this year and leading to calls for UKIP to be included in the televised debates that will be making a return this year*. If there’s one thing I would like to see in 2015 as we count down the days to May. I would like to see the coverage of UKIP go down significantly**. We know they’re filled with members who have backwards opinions from another age. We don’t need reminding of it just like we don’t need to be reminded of the BNP’s member base. We already know what they’re like. The previous text was written by a guy who knows jack about politics but can’t stand to live in a UK where UKIP have a significant presence in the House of Commons. He needed to get that off his chest.